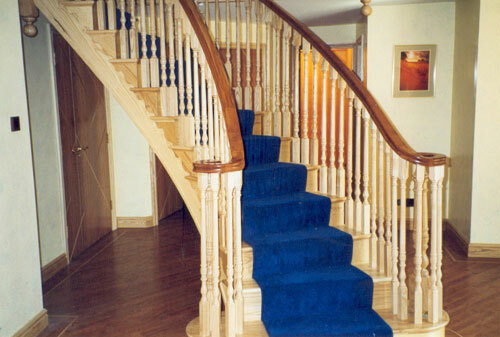 Burbeary have been designing and manufacturing purpose-made staircases for over twenty years. Our high quality products are specified by some of Britain’s leading house builders and our expertise is well within the range of private homeowners, whether refurbishing or self-building. In fact, by saving you time and worry in choosing individual components, measuring up and building your own staircase, or being hampered by having to adapt the style of your home to accept a mass produced one, you will almost certainly find the Burbeary approach to be the best decision. An elegant staircase plays a big part in settling the tone of your home. Burbeary are experts in creating staircases which blend perfectly with the style and decor, as well as meeting all the practical requirements such as building regulations and a full guarantee agianst defects.